Does Pop Culture or Fan Art Infringe on Intellectual Property? Pop culture is seemingly everywhere. Anybody with an artistic vision will sell you clothing, mugs, figurines, lampshades—almost anything you can think of with your favorite pop culture characters on it, whether those characters come from movies, TV, video games, or comic books. But in a world where intellectual property is so closely guarded and protected, how do people get away with it? Can your business just slap Darth Vader or Pokemon on an item and sell it? The answer to this question lies both in legalities and practical business sense. Plainly, almost all of these characters are someone else’s intellectual property, and most of the items being sold with the characters’ likenesses are not officially licensed by the IP owners. There are loads of apparel companies that feature countless characters designed by private artists. Almost none have permission to use those characters. You will notice that rarely do you see any unlicensed items with just a plain, unaltered image of a character or a direct screenshot from a movie or show. Rather, the images are altered to fall into what is known as an IP fair use exception. One of these exceptions is parody. You can incorporate someone else’s IP to some extent to parody it or make fun of it. Mad Magazine and other publishers do this repeatedly. Many clothes sold nowadays also border on parody. Clothes with jokes about Star Wars Stormtroopers having bad aim, or Stranger Things’ “Upside Down” world can be found everywhere. The other use is where someone sufficiently transforms one work of art into another work of art making the new work is a unique, new artistic production. Drawing Nintendo’s Mario in a “Banksy-style” art or using splatter painting to imply a comic book character may fit this exception. Still, much of pop art comes dangerously close to IP infringement, and just because something is sold doesn’t mean that the IP owner couldn’t stop it. In many cases, the IP owners don’t see the value in shutting down artists because the artist simply isn’t making enough money off their design to make it financially worthwhile. 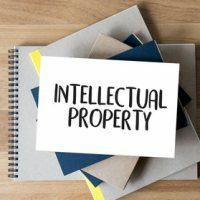 Other companies may refrain from stopping sales because they may like the free publicity for their properties, or may want to avoid the public perception of suing their own fans for buying and selling characters and culture icons. Either way the safest option is to get legal advice if you are incorporating licensed characters, or to try to obtain a license from the IP owner. Make sure your business is operating safely. Contact Tampa asset business and tax attorney David Toback to discuss your business and how it can both be profitable while operating legally.